In Eco-nomic Taxis we guarantee you a high quality service and reliability, and specially trained professionals drivers. For us there is no mall services or too long! All vehicles are equipped with Wifi, so when you travel you can access your personal and professional emails and you will never loose contact when you most need it. All vehicles are equipped with ATM terminal, so tou do not have to deal with money on a daily basis. Our terminals accept: MasterCard/ Visa or American Express. All vehicles and drivers are certificated by IMTT to transport children. We can get and/or leave your children wherever you want, for example at school. Eco-nómico Táxis provides services in Braga for more than five years, with more than twenty years of experience in this metier. Our services are available 24hours a day in 365 days in a year, including Saturdays, Sundays and holidays. We also provide pre appointments services and we’re always available to you by telephone and Internet, in which we give our confirmation via telephone. All our services are focused on your needs. Our employees and drivers are friendly and helpful, with the ability of speak several languages. The vast knowledge of the entire Minho’s area, such as the rest of the country makes it possible to accompany you everywhere. Eco-nómico Táxis is at your disposal for any transfer, transportation, or other contact and will always be an honour to provide this services, making it available for your great pleasure conditions to enjoy a excellent trip. In Eco-nómico Taxis, we guarantee you a high quality service and reliability, with professionals witch have specially trained drivers. For us there is no other small services or too long! 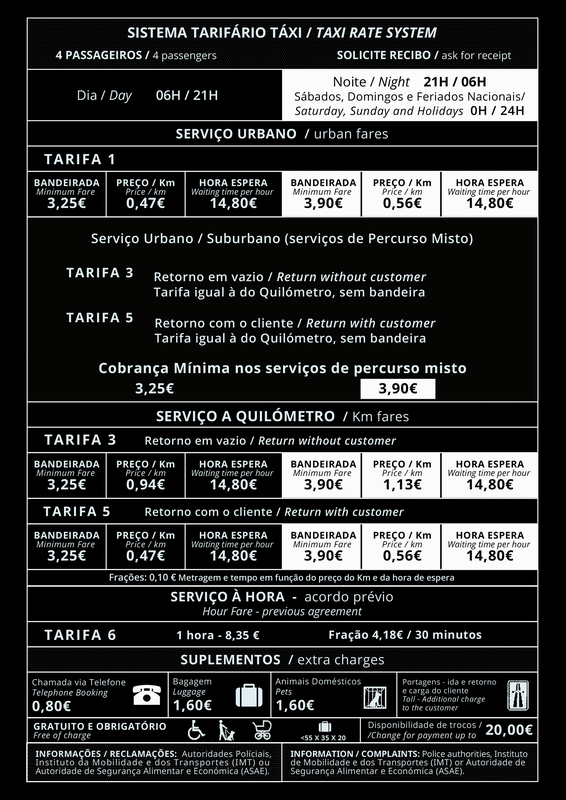 • Transfers to/from airports (Oporto Airport – OPO, Vigo – VGO, Santiago de Compostela – SCQ, any other airport), restaurants, golf courses, among others. • Monitoring and support conventions, conferences, congresses, various types of events and special occasions. Travel assistance and transportation of injured party (Insurance). This service requires a monthly contract. • Do you need to take your child to school? Contact us. This service requires a monthly contract. • Do you need to go to work? Contact us. This service requires a monthly contract. Eco-nómico Taxis does businesses with national agencies and also with a large number of tour operators. When bad luck happens we are here to quickly transport you as far as you need. Transportation and waiting of patients from accidents to physical therapy and consultations. All the prices include VAT. Any reservation can be cancelled, provided with a 24hour advance. The prices shown do not include gratuities, being these ate your criteria. The prices mentioned are subject to vehicle availability, so we suggest that reservations are made with a minimum of 24 hours. Services between 21:00 and 06:00 will have and additional fee of 20%. According to you request, we will choose the vehicle which best suits your needs. You can find us in Braga.